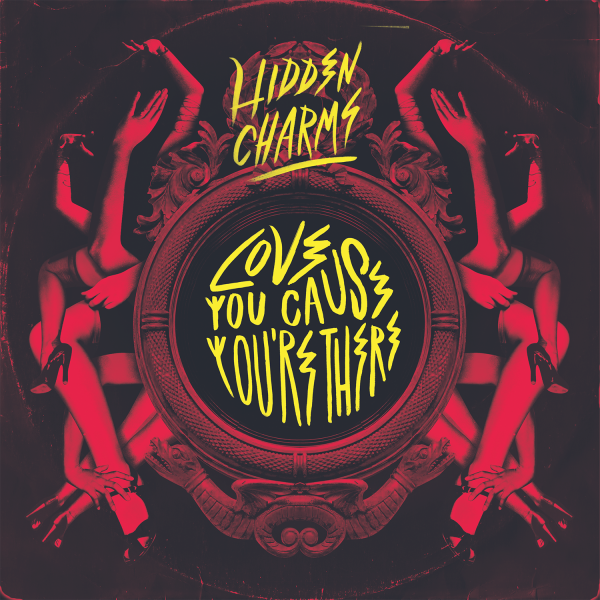 Blues rockers Hidden Charms have announced the upcoming release of their latest single Love You Cause You’re There. The track serves as the perfect follow-up to their hugely successful debut double AA side single Dreaming Of Another Girl/Long Way Down, produced by Shel Talmy (The Who/The Kinks). Comprising of Vincent Davies (singer, guitarist & bassist), Ranald Macdonald (co-singer, keyboardist, guitarist & bassist), Josh Lewis (guitarist & bassist) and Oscar Robertson (drummer), the London quartet have already supported the likes of Benjamin Booker, Hanni El Khatib and X Ambassadors, held a four-week Club NME Koko residency and received extensive airplay from the likes of Zane Lowe (Beats 1), Annie Mac (Radio 1), Huw Stephens (Radio 1) and John Kennedy (XFM) since forming in April 2014. The Londoners’ sound, both thrillingly new and yet drenched in musical history, has already earned them plenty of plaudits and with their debut EP due out early next year, Love You Cause You’re There should provide a welcome taste of things to come.